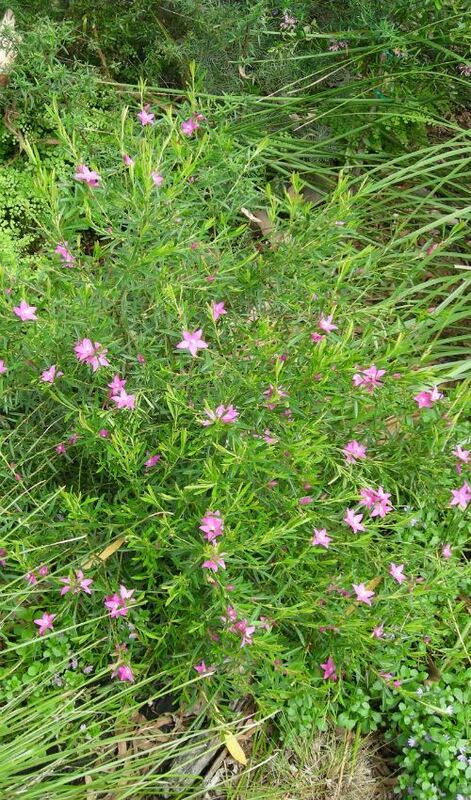 This plant is a hybrid between Crowea exalata and Crowea saligna and was a chance seedling in the garden of past Australian Plant Society members, Arthur and Irene Cooper. 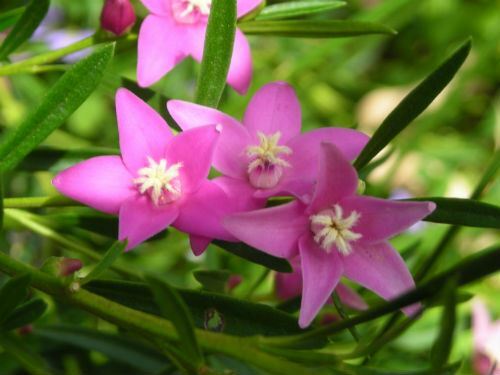 I have been growing Crowea ‘Festival’ for many years in my garden in the northern Sydney suburb of Westleigh. They grow to 1.2 metres high and produce flowers all year with the main flush in autumn. My plants are growing in a thin layer of topsoil over a clay sub soil and receive little additional watering once established. If I am going to lose this plant, it is during the first one or two years - too much water or a poorly drained position are the main reason they die. They are very hardy once established and grow best in a position out of the full afternoon sun. 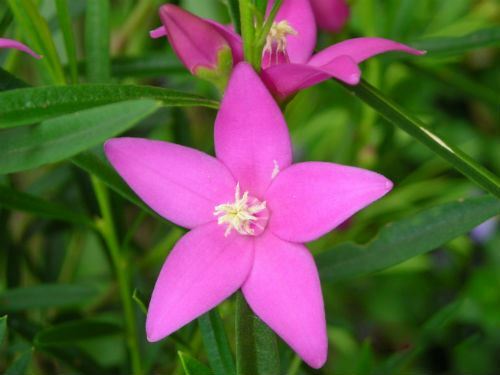 The five petal bright pink flowers (see photo 1) make great cut flowers and this is an ideal way to keep the plant compact and bushy. Crowea: after Aylmer James Crowe (1750 – 1807 English surgeon. Festival: after the Ku-ring-gai Council ‘Festival of Wildflowers’ held at the Ku-ring-gai Wildflower Gardens St Ives, a northern Sydney suburb.